Latest on William Nylander, Artemi Panarin and the LA Kings coaching in your Sunday NHL rumor roundup. SPORTSNET (via KUKLA’S KORNER): Chris Johnston reports Toronto Maple Leafs general manager Kyle Dubas journeyed to Switzerland last week to meet with the representatives for restricted free agent William Nylander to clear the air and express the Leafs’ desire to re-sign him. It’s believed the two sides are looking at a short-term deal. If that can’t be hammered out, Johnston suggests a trade is possible though they’re not at that point yet. Nick Kypreos wonders how willing Nylander is to put this season on the line. He wouldn’t be surprised if we hear of Nylander’s reps opening negotiations with KHL teams to recoup his lost money. OTTAWA SUN: Bruce Garrioch believes it’s anyone’s guess how the Toronto Maple Leafs contract standoff with restricted free agent William Nylander will end. It’s unlikely he’ll receive an offer sheet. The Leafs have until Dec. 1 to sign him or he becomes ineligible for the remainder of the NHL season. If Nylander remains unsigned a month from now, perhaps the Leafs use him as a bargaining chip to acquire a defenseman. Garrioch said he’s been told “by a couple of league executives the Carolina Hurricanes are open for business.” He believes Hurricanes general manager Don Waddell is willing to add, noting there’s no shortage of talk linking the Hurricanes to the Leafs and Nylander. TORONTO STAR: Kevin McGran reports some rival executives believe the Leafs’ strong start to this season is shrinking Nylander’s bargaining power. Two of them feel Nylander isn’t worth the $8 million per season he’s reportedly seeking, saying there’s no NHL team willing to pay the 22-year-old that much. There’s also no offer sheet coming from a rival club, as no one wants to tangle with the wealthy Leafs for fear of offer-sheet retaliation. McGran also noted there’s concern in the Nylander camp that he’ll be the first player moved in a cost-cutting deal in order to re-sign stars such as Auston Matthews and Mitch Marner. SPECTOR’S NOTE: Johnston acknowledged everyone seems to be repeating themselves on this story. The only real change we’ve seen is Dubas flying over to meet with the Nylander camp and talk that the two sides could be moving away from negotiating a long-term deal toward a more affordable short-term deal. Still, the two sides remain far apart when it comes to the money. Nylander reportedly seeks something around $8.5 million annually, while the Leafs prefer something between $6 million to $6.5 million on a long-term deal. There’s talk the Leafs could offer up something close to $4 million annually on a three- or four-year deal while the Nylander camp prefers something around $5 million per. Until there’s serious movement toward narrowing the gap, this standoff could drag on into November. As for the Hurricanes, they’re constantly linked to the Leafs because they have plenty of quality right-shot defensemen, something the Leafs need on the right side of their blueline. Sure, the Hurricanes could use someone like Nylander and I wouldn’t be surprised if GM Waddell is keeping an eye on that situation. But with the Canes offer to a better-than-expected start, Waddell’s probably in no hurry to swing a deal right now. OTTAWA SUN: Bruce Garrioch touched on the Columbus Blue Jackets’ dilemma regarding pending unrestricted free agents Sergei Bobrovsky and Artemi Panarin. There’s no indication the pair will re-sign with the club. The Jackets don’t want to risk losing either player for nothing next summer to free agency, but Garrioch thinks it’s unlikely they’ll trade them for futures while the club is in playoff contention. Getting players back for them before the trade deadline will be difficult because they’ll be viewed as playoff rentals. BOSTON GLOBE: Kevin Paul Dupont wonders if the Boston Bruins will take a run at Panarin, noting they have “abundant player equity” in the form of “young roster players and/or prospects” to tempt the Blue Jackets. He speculates the Jackets could target “the likes of Charlie McAvoy, Brandon Carlo, and Jake DeBrusk”, along with perhaps Danton Heinen and Anders Bjork and prospects Trent Frederic and Urho Vaakanainen. While players such as McAvoy and Debrusk are among those Bruins general manager Don Sweeney is most reluctant to part with, Dupont feels a McAvoy-DeBrusk package for “a generational talent” like Panarin is worth it. SPECTOR’S NOTE: Speaking of unchanged situations, there’s really nothing new going on with Bobrovsky and Panarin. We likely won’t get a clearer picture on their futures with the Jackets until February. Maybe the Bruins will be among their suitors but they could be forced to give up at least one of those good young players Dupont mentioned in his column. As I’ve repeatedly noted, if the Jackets are out of contention by then, one or both players will likely hit the trade block. If they’re still in the thick of the playoff hunt, they’ll likely retain Bobrovsky and Panarin and take their chances. COULD THERE BE A COACHING CHANGE FOR THE KINGS? NEW YORK POST: Larry Brooks suggests former New York Rangers bench boss Alain Vigneault could be a good choice to replace Stevens, pointing out Vigneault worked well with a veteran-laded Rangers club in the past. SPECTOR’S NOTE: Elliott places the blame for the Kings’ struggles squarely at the feet of management, noting they put their faith in an aging core while neglecting to draft and develop secondary talent that could eventually become major contributors and leaders. If the Kings fail to improve soon, I wouldn’t be surprised if Vigneault replaced Stevens. Now is the perfect time to panic. The Leafs are in no position going forward to play that game. The only way to really make an offer sheet work imo is to grossly overpay. Which the leafs are in no shape to do without jeopardizing Mathews, Marner etc going forward. They’re going to have enough cap headaches in the near future to get into a “retaliation “ game. Nyr4life I agree, Personally I thought that statement was silly; first no team is going to give Nylander $8m then “Fear of the wealthy Leafs” fear of retaliation. So the leafs are going to retaliate against you if you offer Nylander $8m+ and what over pay for a player to say here I screw you! Last time I checked there is a salary cap that applies to every team and the leafs can only go to the cap; and for those teams that have their own internal cap; well their not offering Nylander $8m per season, so there is no worries of that happening. In the end if a team was willing to give Toronto 4 1st round picks for Nylander that might be the best deal for the leafs, would certainly take the pressure off their salary cap. I look forward with keen interest to any team putting out an offer sheet to any player in the league – never going to happen. Charlie isn’t going anywhere I believe DeBrusk maybe but also doubt him being moved. Panarin would want 8 plus million and they have Pasta Marchand and Bergie all under 7 can’t see that going over well. I thought weed was only legal in Canada, oh maybe Dupont is in Vancouver with the Bruins and decided to try some legalized marijuana. Yes the bruins are going to trade McAvoy and Debrusk for soon to be UFA Panarin. That deal isn’t made even if Panarin was willing to sign a long term deal. I read today that Alberta has already experienced a shortage of marijuana for sale – Oilers fans perhaps? Yeah Mcavoy and Debrusk for a rental that wants a big payday. Even if he would sign a extension around 8 million I wouldn’t give up either guy. I would do Carlo or Krug plus prospects or picks. I really like William Nylander but I don’t think he’s a $8m+ player right out of his ELC. I think it’s a risky move for any club to offer him that value long term. It looks like he has (2) 61 point NHL seasons, paying him about $6m isn’t unreasonable by any means, especially for a bridge deal. George the Genius also gave truckloads of cash to 17 goal Patches and Stastny too. So, based on that logic, Marner, who’s had 2 seasons of 61 and 69 points, and Matthews, with his 2 of 69 and 63 points, should sign for commensurately less dollars next year than the $8 and $12 being bandied about based upon the fact they totalled 8 and 11 points more over their first two seasons? Maybe both will up those totals considerably this year – then again maybe they won’t, and we won’t know now – with the way things are going – what Nylander would have been capable of in his third full season. With these back to back losses at home, should prompt Dubas to accelerate the decision with Nylander this week. Draw a line in the sand & tell Nylander here is my offer [most likely a bridge deal], take it or leave it. If Nylander says no to the offer then trade him. I can’t see this dragging on much longer. I think these two losses will have absolutely no effect on GMKD negotiations with WW camp. These 2 losses were a wake-up call that Leafs have to be able to adapt to play when opposing other teams that slow the pace and trap them up in transition. Bridge or trade … not long term. I think the only way Nylander get traded is if he sign a bridge deal with that team. How many teams are willing to sign Nylander for $8m+? (is there any) however they’re are probably more teams willing to sign him to a bridge deal, but if that the case then why not with the leafs? 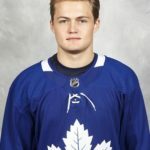 Here is my far fetch solution for a trade, the team is willing to sign Nylander to a 2 year bridge deal offering him $8m per season, then if he proves his worth you can hopefully continue on with the same offer for 8yrs and if he isn’t or ups his price then you can decide to keep him or trade him. If he isn’t worth the $8m after two season then maybe you can resign him at a lesser value. As you said … no team willing to go long term at $8M. Bridge is lower AAV. It’s a prove-it and I’ll reward you deal. A bridge at $8 is with the expectation of more long term after bridge. If he’s truly set on $64M over 8…. then a 2 year bridge at $5.5M followed by 8*$9M (cap will have gone up in 2 years)… then he’d have $65M over the first 8 years … $11M plus 6 * $9M. This of course assumes actual pay and Cap are identical for each and every year. Dubas just absolutely cannot sign him now long term for north of $7M…. cap-wise in out years to fit in 23 man roster and more importantly improve D; but also because he’d lose all negotiating power in upcoming deals because he’d appear to be easily had by any hold out by any player. I don’t see this as a good route for a guy that’s holding out. I believe the rules of a qualifying offer would make him impossible to deal with… a player making over 1 million must be qualified at 100% of their salary. So that would be off the table. And I doubt a guy who feels he’s worth 8 per today, will not feel he’s due another raise in 2 years time. I could be wrong on the qualifying offer thing? Lyle? Anyone? Bueller? Carolina should be talking to Toronto about Kadri not Nylander. Would a Dougie Hamilton for Kadri trade make sense for both teams? Leafs are NOT getting Hamilton for Kadri – or Nylander. Their best chance at Hamilton came way back when Burke decided the future lay in dealing away 1st round picks for Kessel – then watched as the Bruins took Seguin and Hamilton. And then watched again as the Bruins traded Seguin and Hamilton for pennies on the dollar. We were talking about the first dumb move since the Leafs were part of today’s topic. Save that one for the Bruins are the topic. If WW signs with a KHL team and plays there this year would Nylander become a free agent next year or would he still be the property of the Leafs? If he is still the leafs property how long would he have to stay out of the league? Good question. Would it parallel the Kovalchuk hiatus in the KHL where his rights remained with NJ for a while? I think I’m starting to hate the “wee Willy” nickname more than the “Will Ny the goal scoring guy” nickname, and I really hate that one. As a casual observer, I notice heat flaring up from Toronto media when they lose. When they win, ppl could care less what Nylander is doing. This is me but if Im Dubas and negotiations have gone THIS far, Im already talking to other GM’s to offer their best package that includes the best D I can get to help this team, but thats just me. Surely Dubas has Shanny’s blessing to do as he see’s fit and pull the trigger on such a move. Agree Toronto should be seeking the best defenseman they can get for him now. I know these teams probably won’t deal with each other but Carlo for him makes sense for both teams. Boston needs a top six and has close to the cap space. Carlo won’t cost to much to sign next year helping to sign Mathews and Marner. But again, as many (including myself) have stated many times, it’s just possible that, if Dubas and Shanahan don’t see Nylander as worth $8 mil long-term, perhaps the rest of the league sees it the same way and simply do not want to go that far. Even if Dubas gave some team permission to talk to him, and suddenly Nylander and his agent seem willing to come down from that total and term, Dubas would just as suddenly call off the talks – UNLESS one of those teams offers them a D-man he sees as an immediate improvement to his blueline corps. In other words, lots and lots of “ifs” indicating just how much of a muddle this is facing Toronto. Just can’t see it clearing up any time soon. If contract dispute does not get resolved in time ( believe near Dec. right or he becomes ineligible to play) perhaps Dubas calls SJ and offers Nylander and Zaitsev for EK and conditional pick (in case they do not re-up EK) . Wasn’t there a clause in the trade that pretty much prevents SJ trading Karlsson to an eastern conference team? It was nicknamed the Hoffman clause. It’s an additional first round pick or something like that. I can see SJ re-signing Karlsson pretty easily. It’s a great place to live with little anonymity. A little anonymity. Imagine how much difference one letter makes to the meaning of a whole sentence. This Leaf fan says if you want to win you have to dictate how the game is played …who controls the space…who dictates the pace…my beloved Leafs have let that go to the visiting team twice this week (when “super coach” had the last change)…. Until they man up (not fighting) but skating freely where you need to go and hitting hard) they will struggle…There are bunch of alpha males out there..Who is in control?? Not the Leafs this week. Aren’t the Leafs in First place? Every team goes through ups and downs and a 2 game losing streak is nothing. Babcock is still a good coach, Nylander will sign a bridge deal after Dubas waits him out, and the Leafs will contend for the division title. I am more worried about my Bruins.